A.T. Pancrazi Real Estate Services, Inc. is backed by nearly 100 years of experience and expertise in the acquisition and disposition of commercial, industrial and retail properties and agricultural land and farm sales, in Yuma County, Arizona and Imperial County, California. We combine our knowledge of market trends and values with a comprehensive marketing approach to provide consistently proven results. Our leasing team specializes in all submarkets throughout Arizona and Imperial County, California, providing you with access to superior market knowledge and outstanding tenant and landlord representation. A.T. Pancrazi has the resources and expertise to locate your ideal space. We will deliver the most comprehensive service available including site location, Letter of Intent processing through lease negotiation and execution. 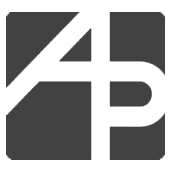 Our proven process will decrease your entry time to market and create landlord competition for your tenancy. Our representation of the Landlord focuses on generating strong rents, stability and property performance by effectively negotiating the most profitable leases possible. and California helps them quickly identity the best potential sites. Whether you’ve identified sites on your own, or engaged our real estate services, our professional analysts are available to conduct an objective feasibility assessment of each site. We carefully analyze each site for the three benchmarks of site acquisition to determine not only what can be achieved at each site, but also whether proposed projects can be accomplished within the planned timeline and budget. Determining the value of unique commercial, industrial and agricultural properties can be a challenge. Our team determines the fair market value for the property based on the specific use. We aggressively negotiate purchases, build-to-suits and long-term lease agreements to secure the best terms for our clients. 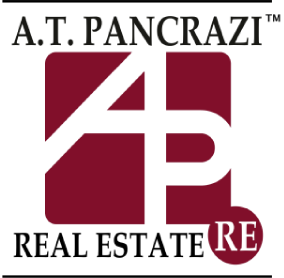 Fully understanding our client’s near and long term needs has enabled A.T. Pancrazi Real Estate Services, Inc. to close on 1000's of acquisitions over the last ninety years. we help clients avoid potential obstacles to project success. Contact us to find out the specific ways in which we can help you with your CRE needs.